The man who’s GP refuses to issue him a sick note – he could see another GP and explain the situation. If they still refuse, complain to the practice manager in writing . Ask why the DWP take priority over their patients, and why is the GP happy to allow the DWP to tell him how to treat this patients? I’d also get the local press and MP involved – that’s the last thing the surgery will want. A short term benefit advance (STBA) can’t be paid unless one of the above are satisfied. A medical certificate needs to say the above on it so the DM can see its got worse/a new condition has developed. Please do not assume the DM will know or is sympathetic. They’re not. 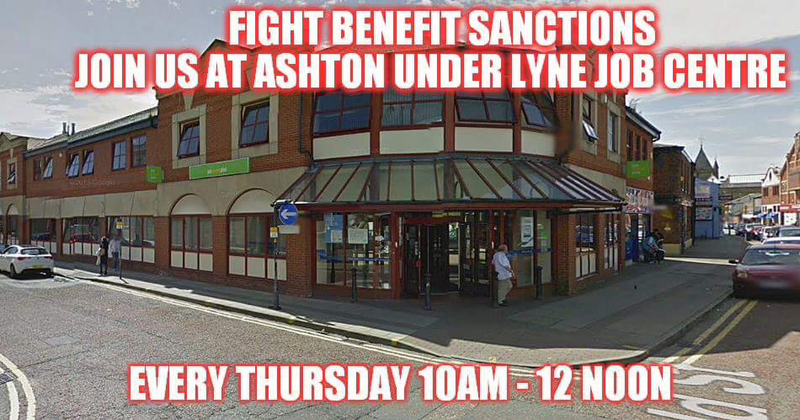 Dreadful system made worse by a strict Jobcentre. I can’t believe they won’t let people who are early to sign-on wait inside. In my local Jobcentre, East Anglia, everybody has to go up to the reception first and give your name and appointment time. Early or not, you just take a seat and wait to be called. Nobody is ever punished for being a bit early. Or sent back outside and made to come back later. Really stupid. These stories make me mad the dwp and government need to 🔴 STOP targeting those on benefits and the sick leave these people alone .situations like these just make people who are struggling everyday just to survive worse, dont they have a conscience! !.I for one feel like they are targeting the wrong people and they should be left alone you as a person know your own body and how you feel day to day for some just getting through a day is tough enough without pressure from both dwp and the government. My name is Mitch Edwards and I’m an ESA Processor. I’d urge everyone to get their MP on the phone to a) support the work being done here b) get ESA and UC sorted out. A letter is sent to your GP to advise on the WCA outcome. This is why your GP may not issue a med cert after your WCA. Indeed, but they are also advised not to issue anymore fit notes. Most decent doctors actually ignore these letters because they realise that the ‘medical assessments’ are farcical and are not based upon fact. I saw a doctor at my GP surgery in Oldham last year to get a fit note to claim ESA and she couldn’t get her head round why you need one when you’re unemployed. She’s from abroad, and so I think she doesn’t have enough experience of the system yet. I know my own health and I figured (correctly) that the condition I had would flare up for a number of weeks before it subsided again. I asked for a note for 4 weeks, she said that was “a long time to be ill” and tried to offer me one for 2 weeks. We compromised on three. (I was ill for 6 weeks altogether, as I’d predicted.) I didn’t appreciate being made to beg for a fit note. 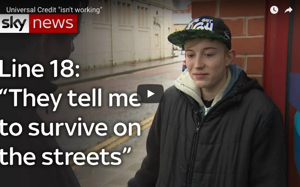 It’s one thing not knowing the British benefits system, it’s another thing to make out that people shouldn’t, or don’t, ever get ill for weeks or months at a time. The GP is in her thirties so she must have been working long enough to have had at least a few chronically ill patients. I should have complained to the practice manager at the time. I didn’t but I have at least made it clear to the admin staff that I won’t see that GP again. But after reading this, about GPs being instructed not to issue fit notes by the DWP, I’m thinking I should do more. Its awful!!! You really shouldn’t have to argue your need for a sick note. i hate the words fit note, because if you require one you really aren’t fit. It’s yet more terminology and nudge theory. The whole system stinks. DWP Staff pay rise and annual bonus delayed by Treasury. Annual Bonuses of between £500 to £625 and £1000 for higher grades along with the 3rd year pay rise from the Employee Deal delayed by the Government. They did get the £25 vouchers though!!! The nasty side of the DWP will get even nastier. Thanks I noted this already. They are vile to their own employees also. Now they are colluding with the NHS things are taking a very sinister turn. Thanks for the links.